The Senate Minority Leader, Godswill Akpabio, is defecting from the opposition Peoples Democratic Party (PDP) to the ruling All Progressives Congress (APC), a presidential aide has said. President Muhammadu Buhari’s Special Assistant on Prosecution, Okoi Obono-Obla, posted a message on Facebook, Saturday night, saying that Akpabio will be received into APC on Thursday by the Acting President Yemi Osinbajo and other top leaders of the party at a rally in Ikot Ekpene, Akwa Ibom state. Obono-Obla also posted on the social media site a photo of Akpabio with an APC leader, Bola Tinubu. Information has been making the rounds since last week that Akpabio, who is a former governor of Akwa Ibom, was perfecting his plan to leave the PDP. There were speculations that the defection was delayed because Akpabio was negotiating for some “favourable terms” for himself and his political supporters in the state. It is claimed that the senator was asking for the position of the senate president and also that he should be made the APC leader in the state and the party political structure handed over to him. Obono-Obla said: “Senator Akpabio is defecting to the APC, you can take that to the bank”. When asked about the claim that Akpabio was asking the APC for the position of the senate president, Obono-Obla said, “I cannot confirm that. “But if he wants the position of a senate president, he is eminently qualified for it”. Obono-Obla dismissed the fear that the senator could be PDP’s Greek gift to the APC. “I don’t subscribe to that position. “He is a very ebullient leader. He is very charismatic. I believe his coming to the APC will change the fortunes of the APC in Akwa Ibom in particular, and the South-South in general,” he said. Akpabio’s defection is surprisingly coming at a time several APC leaders, including the Senate President, Bukola Saraki, have defected to the PDP. It is believed that the senator’s political differences with Governor Udom Emmanuel may be responsible for his defection. Governor Emmanuel, meanwhile, on Saturday night convened an emergency PDP leaders meeting in Uyo. 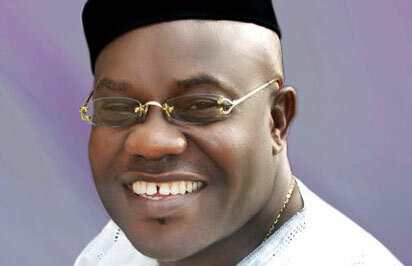 The defection of Senator Akpabio is believed to have been top on the agenda of the meeting.